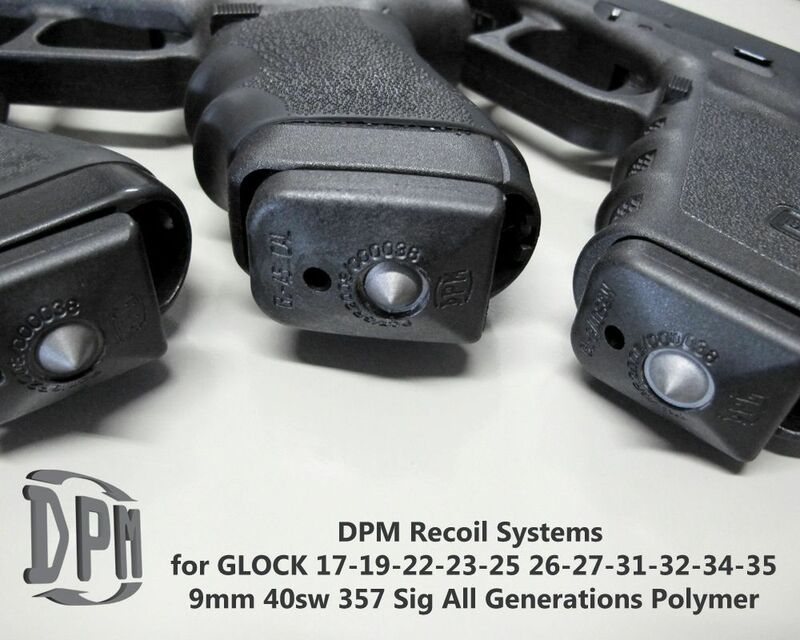 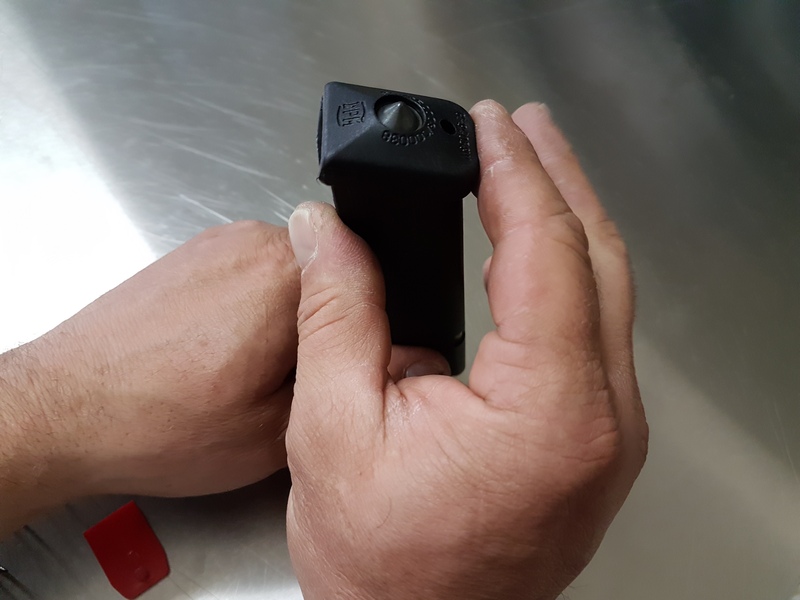 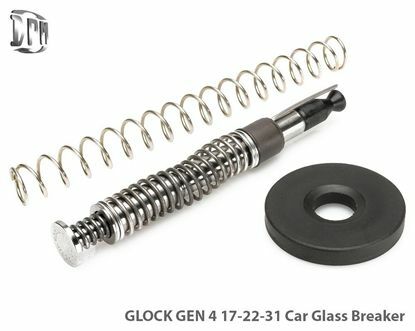 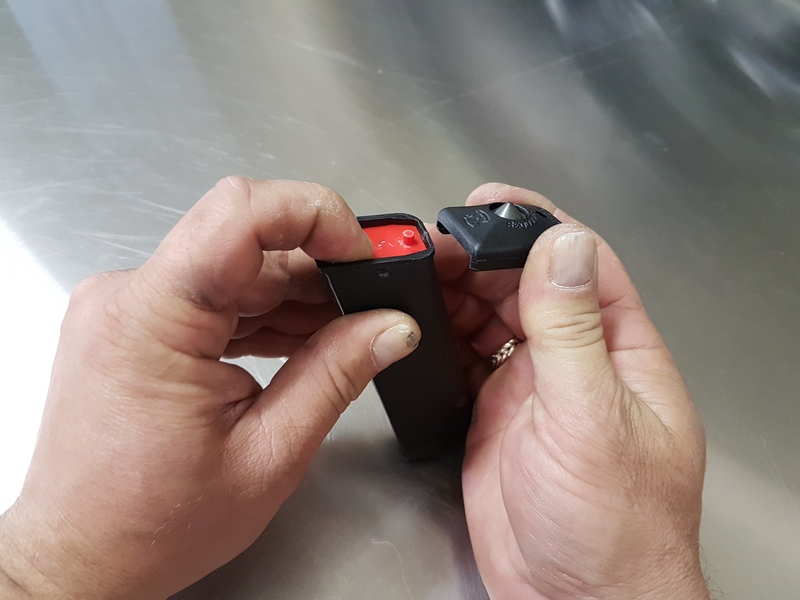 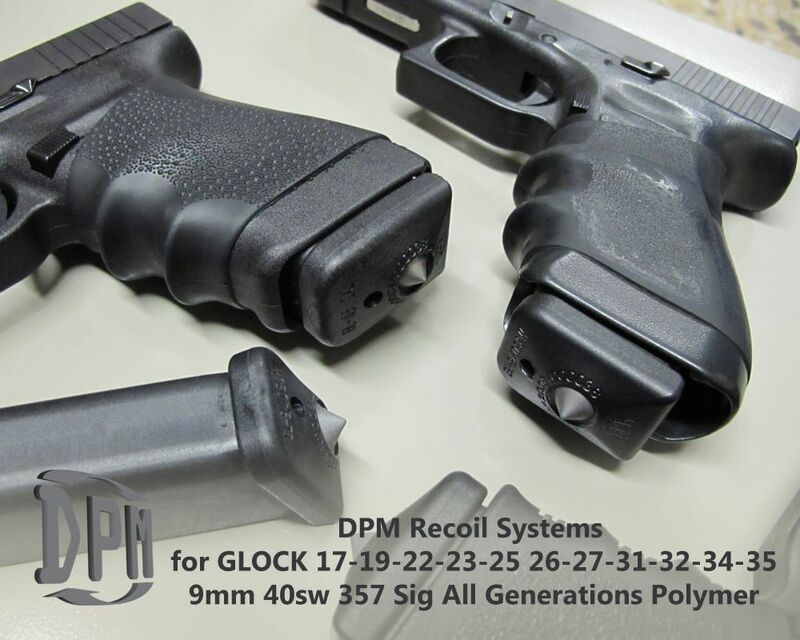 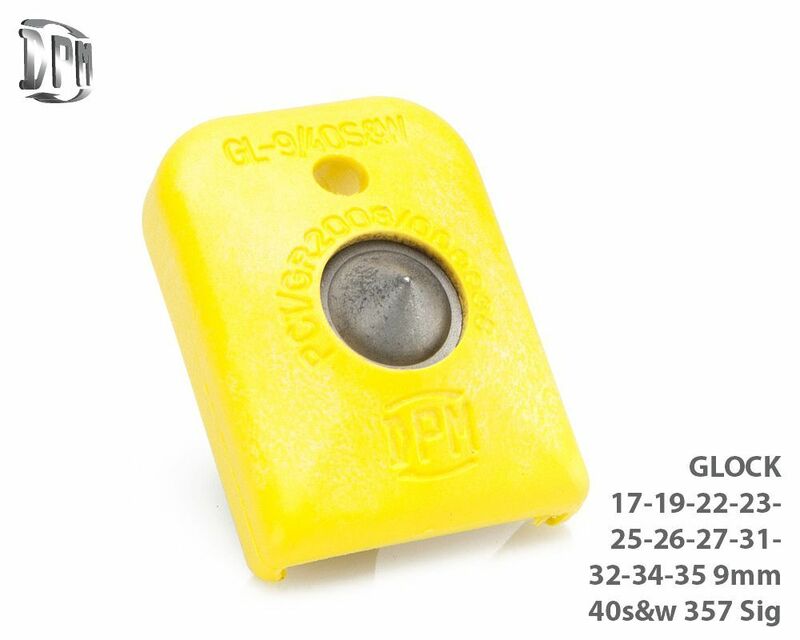 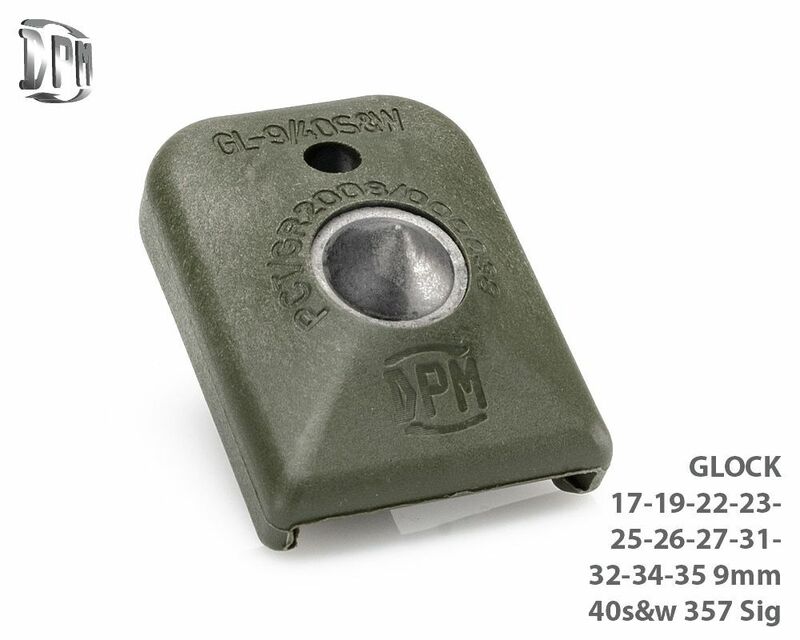 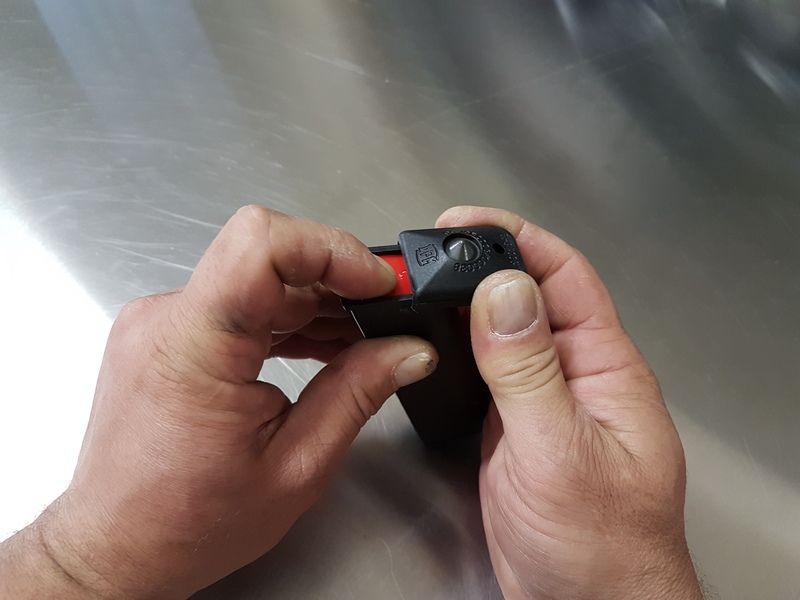 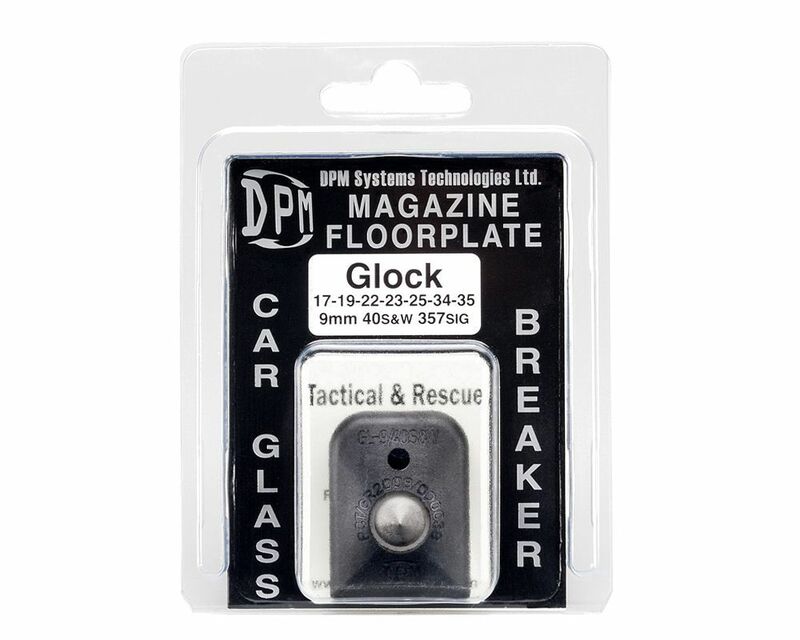 When a handgun contains a magazine with the DPM floorplate with the incorporated carbide tip, the handgun itself can also be used as a hammerlike tool for the breakage of glass panes without disrupting the overall function of the handgun. 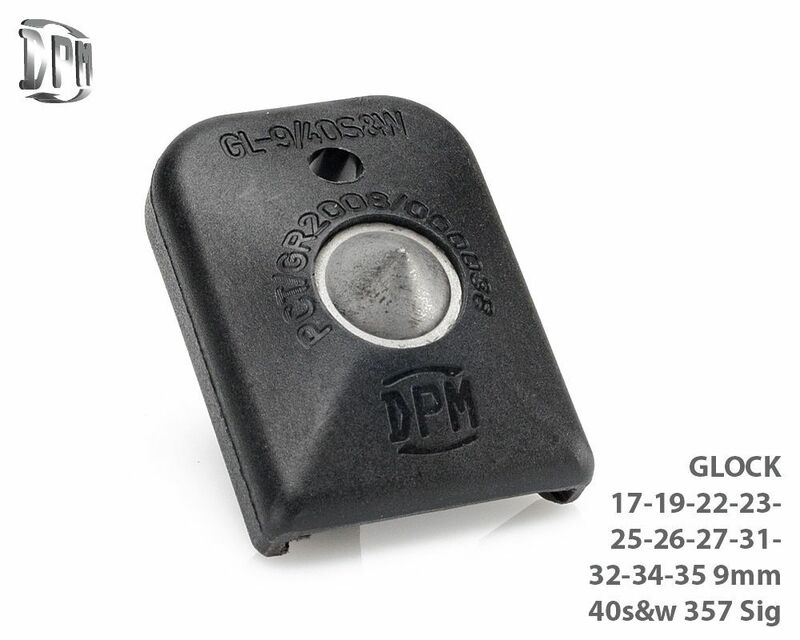 ATTENTION: For 9mm Magazine Use ALWAYS the Factory Black Safety Plate. 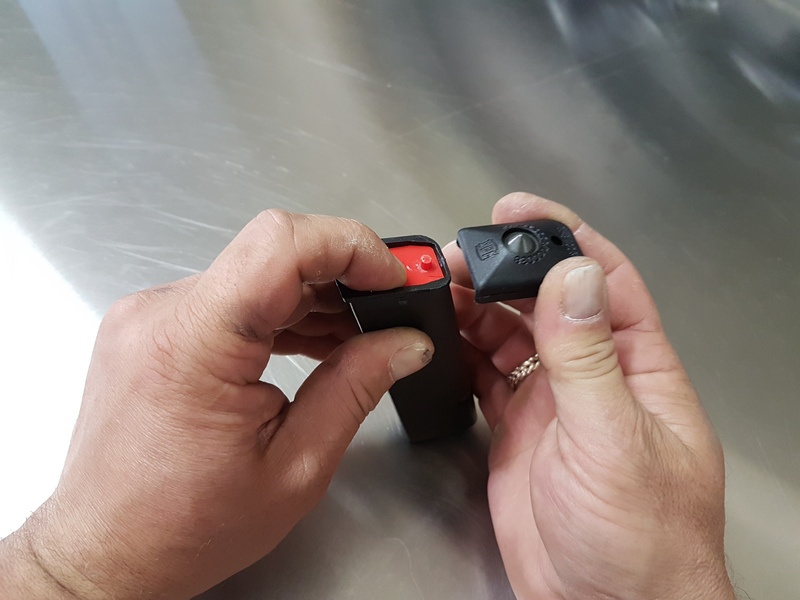 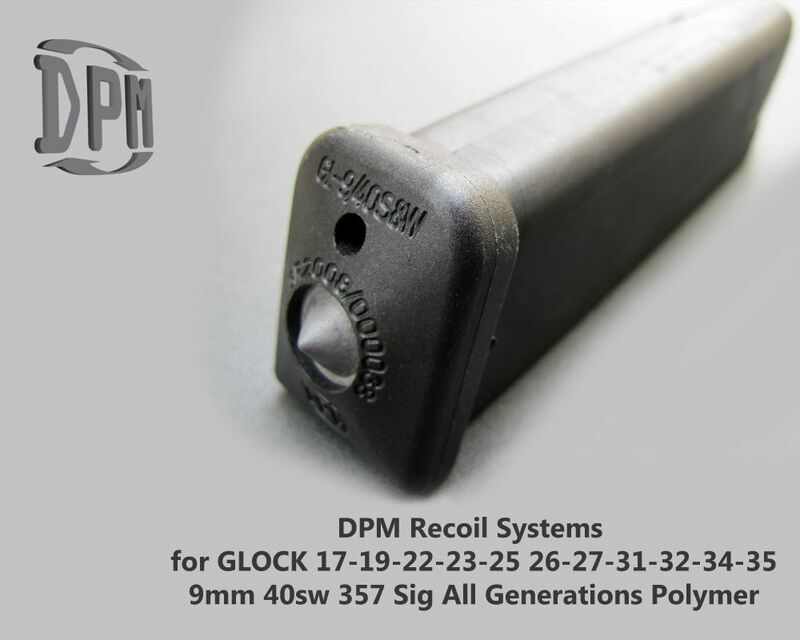 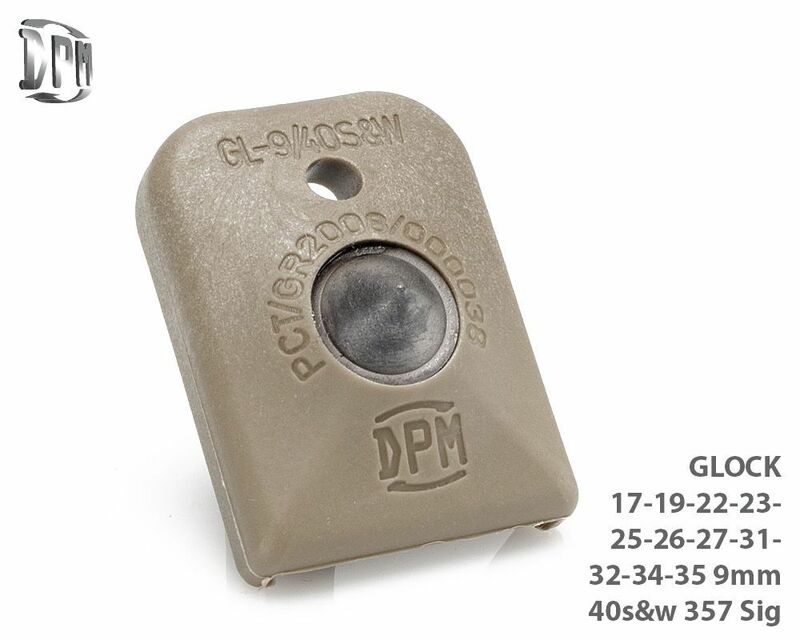 For Glock 40 S&W Caliber Magazine Exchange the black color Factory Safety Plate with DPM Red Safety Plate that is inguded.